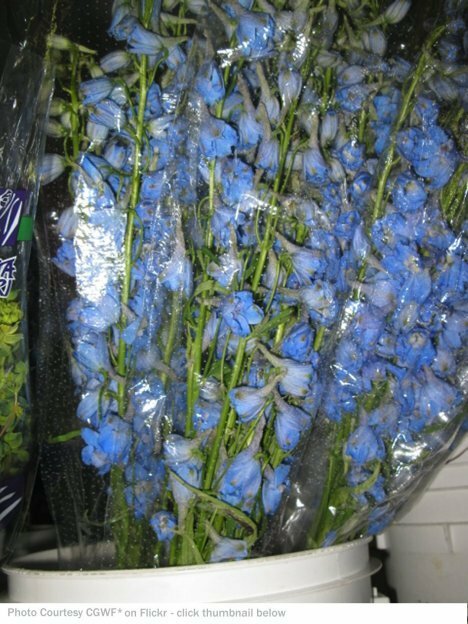 This wedding is accented in blue, so I used delphinium that comes in a natural blue color - both in the softer hue shown and a much brighter, deeper blue variety. 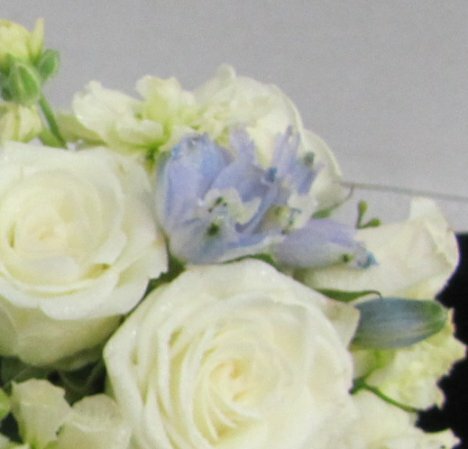 Once stem yields many bloom that can be used to accent more than one corsage or boutonniere. 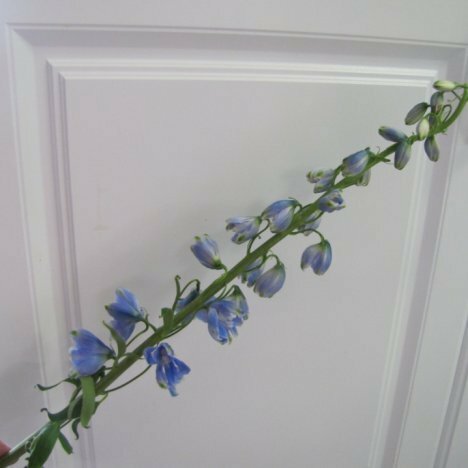 Cut the laterals off the main flower stem as shown. 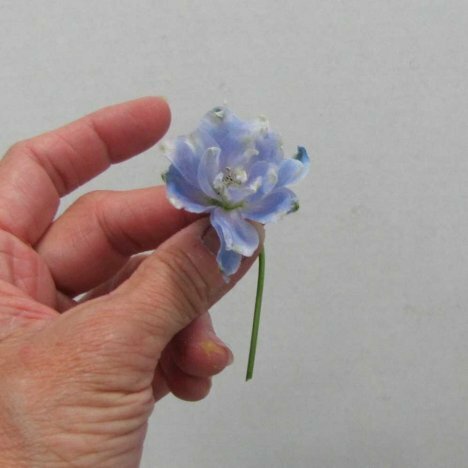 Apply floral adhesive generously to the base of the flower head. 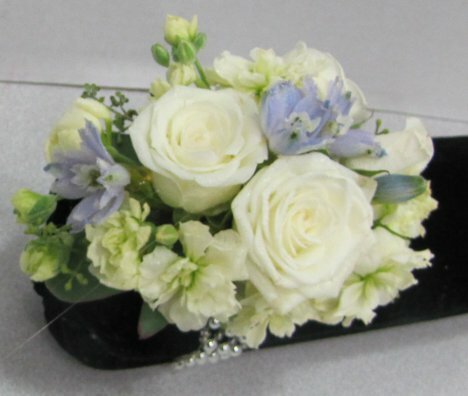 Tuck the blue flower heads in among the flowers already glued to the corsage bracelet. 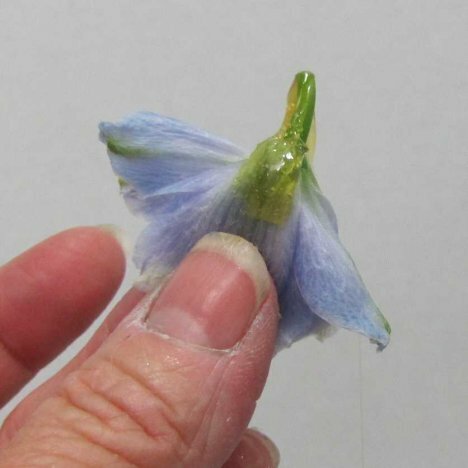 Face the flower heads outward, tucking in one or two blooms in the opening between the flowers. 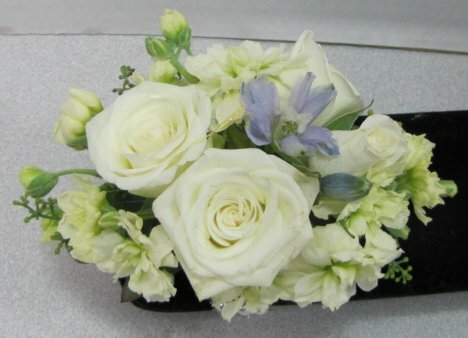 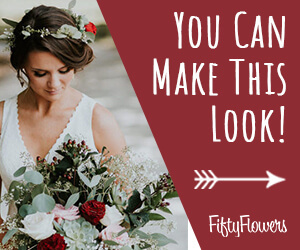 Again, allow the flowers to set up before moving the corsage.